In the future, astronauts on Mars will eat bacteria-burgers out of bacteria-bowls using bacteria-forks. We’re not kidding — a team of students at the University of Copenhagen in Denmark have a plan to grow food, medicine, and tools in space using genetically engineered bacteria. They’ve called their project “CosmoCrops,” and it works like this: a culture of cyanobacteria, which uses photosynthesis to produce energy, will harvest Martian sunlight and produce sugar. Then another common bacteria, Bacillus subtilis, will digest the sugar and make whatever it has been engineered to produce. In theory, the bacteria could churn out vitamins and other medicinal molecules, the building blocks of a nutritious diet, and bioplastics that could be 3D printed into any form, including the forks and knives that will be needed to eat the space spaghetti. Of course, it’s just a concept at this point. The team hopes to have a functioning co-culture by next month, but it will probably be years before they have sustainable production of foods and materials that Mars astronauts will require. The problem is that every base material needed will require its own strain of bacteria. Making fats, carbs, and proteins will be one thing, making them tasty will be astronomically harder. In addition to properly engineering the production line, the team will also have to figure out how to keep the bacteria alive in harsh space environments, and how to not accidentally seed the Red Planet with invasive microorganisms. Ramping up production to the levels required for space colony consumption will be extraordinarily challenging. 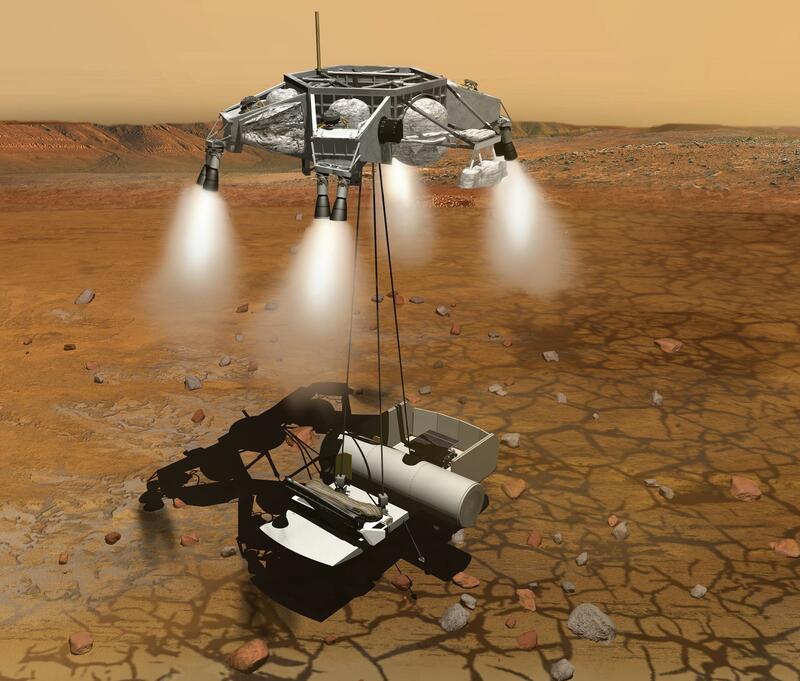 But, if people are going to hang out on Mars for more than a few days, ideas like these have got to be a part of it. Until Amazon Prime teams up with SpaceX to extend free shipping to Mars, it just won’t be feasible to bring everything space settlers will need with them. The more engineers can use resources available on Mars, including rocks, water, and sunlight, the more feasible colonization will be. Bacteria-factory produced meat might be pretty nasty, but it will keep humans better fed than the potato-heavy diet Matt Damon had to put up with.